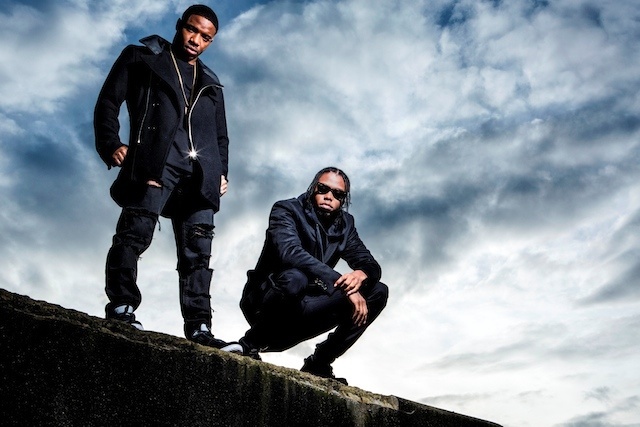 Krept & Konan are in the Guinness Book of Records, and it’s not for doing a half marathon whilst pushing a pram or lifting weights with their eye lids. Back in 2013, their mixtape Young Kingz became the highest charting UK album ever by an unsigned act, and this summer the UK rap duo are going to drop their debut studio album: The Long Way Home. Not bad for two MCs from Gipsy Hill. They aren’t messing around with the collabs on their record, rounding up Wiz Khalifa, Skepta, and for the lyric video we’re premiering above, Da Don himself: Rick Ross. “Certified” is a club-ready rap detonation that packs gold-plated kickdrums and chaotic looped synths underneath the territorial raps of Krept, Konan and the unmistakable Rick Ross. Basically, it’s the type of song that makes you dance like your onstage with Kanye at the Brits. Watch below.